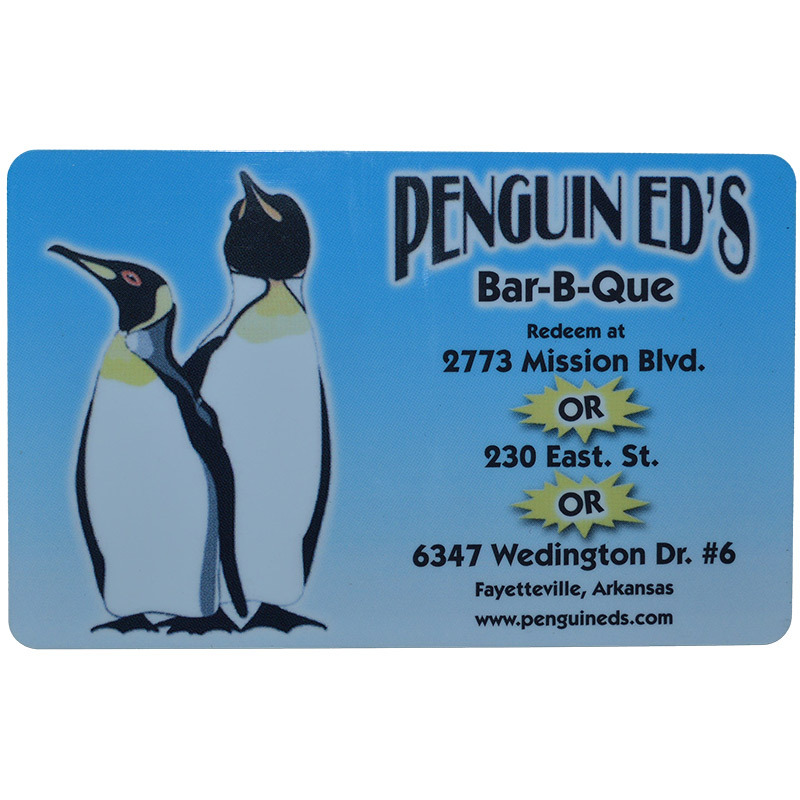 The PERFECT gift is some great food from Penguin Ed’s! 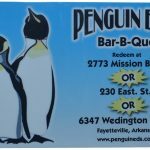 Just choose the amount you want to add to your card, and we’ll send it to you. Penguin Ed’s Gift card is available to use at any of our locations. These cards are shipped to you in the mail. 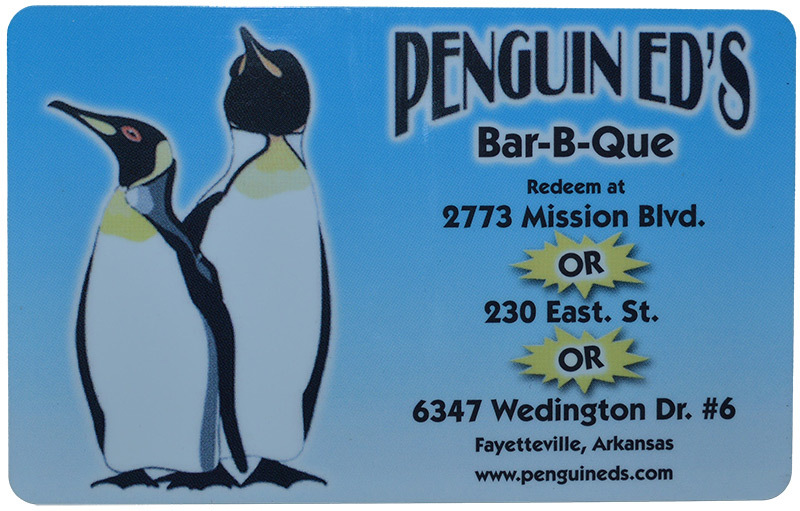 Give the gift of Penguin Ed’s!